Some states require end-of-year evidence of progress for homeschooled kids in order for them to homeschool in subsequent years. There isn’t actually any evidence that this improves homeschooling outcomes (and many homeschoolers believe it interferes with the educational process), but it is the law in some parts of the United States. Standardized testing is commonly used in many states, but there are additional options in some states, like Virginia, where my family lives. Using an evaluator may be one of the options you can choose if you are in a state that requires evidence of progress. What is my state law? There is no substitute for knowing what your state allows or requires in terms of homeschool testing and evaluation. Check your state statute, and see what your state and local homeschooling organizations say about the law. Why use an evaluator instead of testing? 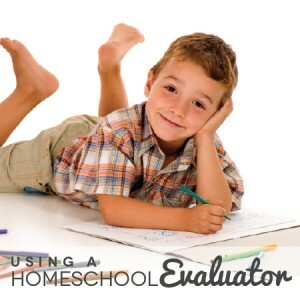 A homeschool evaluation can be a more holistic approach than standardized testing. An evaluator can use a “whole child” approach that takes into account accomplishments that do not show up through testing. Standardized tests may presume that a standard curriculum has been used, and homeschoolers are well known for customizing their approach to education. This means that a standardized test might cover material that a child has not learned that year. An evaluator can assess what has been done and whether the child has shown growth and been provided opportunities to learn. A child whose development is asynchronous, such as a child who is showing late reading fluency who is nonetheless knowledgeable in social studies and science, still has a chance to shine in an evaluation, when reading-dependent testing might be ineffective or even traumatic. Evaluation works well for divergent thinkers who do not perform well on tests. For kids who have test anxiety, evaluation can provide a better picture of their skills and knowledge rather than their ability to work through that anxiety on a given day. An evaluation with the right evaluator really can be a pleasant experience. Children enjoy talking about what they are learning and working on, and parents have an opportunity to reflect on what their kids have been learning. Choose an evaluator who will fit your philosophy of education and whose evaluation practices make you comfortable. 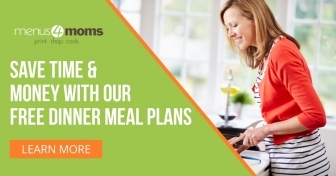 Networking with other homeschoolers to get personal recommendations is the best way to find someone who will be a good evaluator for your children. The Organization of Virginia Homeschoolers has an excellent article on Choosing an Evaluator, which recommends you consider the evaluator’s credentials, tools and approach, attitude toward your homeschooling style, requirements, possible faith-based expectations, fees, and timeline. You can do Internet searches for evaluators, but it’s always best if you can find others who have worked with specific evaluators. Having homeschooled for many years, I’ve become aware that some homeschoolers do not like a particular evaluator for the same reasons that other homeschoolers do like that same evaluator! You want a homeschool evaluation to be a positive experience for your child, so scoping out the evaluator’s approach and background is reasonable. Ask families who share a similar homeschooling style or approach to living, since you share some of the same values. It’s also important that your evaluator is deemed qualified by your school division or the agency that has to review your evaluation. Again, check the law in your state to see if there are particular credentials required. Some states may leave this up to a local school division, so you may also need to check with a local administrator. Typical qualifications in some states may include being a currently licensed teacher or holding a masters degree. Frequently, state and local homeschool organizations are a good source for understanding the qualifications that are typically expected of evaluators in your area. This varies according to the laws of your state, but for example, in Virginia, most evaluators will want to review a portfolio of your child’s learning and meet with you and your child. Many evaluators will also have parents fill out a form describing a child’s accomplishments. The evaluator will then write a letter describing the child’s progress. Parents are usually expected to take responsibility for submitting the letter to the school division or appropriate agency. Evaluators frequently expect payment on the day they meet with you. Fees vary widely, frequently depending on the amount of time an evaluator takes meeting with your child and in documenting your child’s educational progress. Travel cost may also be a consideration, if an evaluator comes to your home or your town. Some evaluators offer a sibling discount if more than one child in a family is being evaluated. Be sure you ask questions about the fees in advance. How should I prepare for an evaluation? Keeping some samples of your children’s work from the beginning, middle, and end of the year is the most obvious way to prepare for an evaluation. I have given some ideas on Preparing for a Homeschool Evaluation: Saving Work, over at my personal blog, At Each Turn. I’ll be adding other posts on preparing for an evaluation. Annual assessments to meet state laws are sometimes exercises in hoop jumping; however, a meaningful evaluation can be a fun and productive show and tell. Do your homework to find out the requirements and possibilities in your state — and to find an evaluator you and your children will enjoy working with.